You can’t help but notice the new QX50. The bold double-arch grille marks this generation as different from those that have gone before. Motor Trend calls it handsome and honestly good-looking. Sharp creases and flowing lines suggest the aerodynamic engineering that allows this new INFINITI to improve fuel economy. MotorTrend and other reviewers are excited about the crossover’s VC-Turbo 2.0-liter inline-four engine. VC refers to variable compression. As needed, the engine will adjust itself for the best power outlay and most frugal fuel economy. The ratios range from a low of 8:1 and a high of 14:1. The driver commands 268 horsepower and 280 lb-ft of torque at lower rpm than before. If you compare this to rivals at Audi, Mercedes-Benz or Lexus, you’ll find more horsepower. Best of all, the INFINITI fuel economy has been improved by 35 percent. These crossovers earn 31 mpg highway. Front-wheel drive can be exchanged for Intelligent All-wheel Drive. INFINITI’s Zero Gravity seats keep you more comfortable. JD Power reports that these seats really do provide long-term comfort. Design elements can include a leather-wrapped dashboard and open-pore maple wood trim. Leather comes in regular and quilted varieties. Shoppers can pick from the Pure, Luxe or Essential trim. In the reclining rear seats, passengers can slide forward on a track to accommodate cargo or slide back to grab more legroom. Second-row advantages include a USB charging port, rear vents, available side window shades, and outboard individual airbags. Owners benefit from the InTouch infotainment system. An available 16-speaker Bose Performance system adds surround sound. The new SUV is taller by more than four inches and wider by almost four inches. This adds height and width to the cabin. Passenger volume is rated at 135.8 cubic feet. Travelers will appreciate a standard power liftgate and a generous 31 cubic feet in the cargo hold. Folding the seats expands the space to 60 cubic feet. INFINITI is offering to keep the car out of harm’s way through a long list of features. Pushing further toward automation, INFINITI has a reverse autobrake to prevent fender benders in the parking lot. A forward emergency brake system with a pedestrian watch and predictive function are standards. The most comprehensive and exclusive system is the ProPilot Assist. It starts with full-speed cruise control with stop-and-go capability and combines it with lane centering capability. Other available systems include a blind spot monitor, a distance-control assist, and a rear cross-traffic alert. For safer parking, a 360-degree Around View Monitor includes moving object detection. You can test drive the 2019 INFINITI QX50 and learn more. 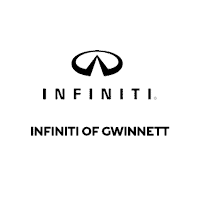 Get behind the wheel at INFINITI of Gwinnett.